The cooler of the future. Setting new standards for design, capacity, energy consumption, environmental friendliness and noise level. Interested? 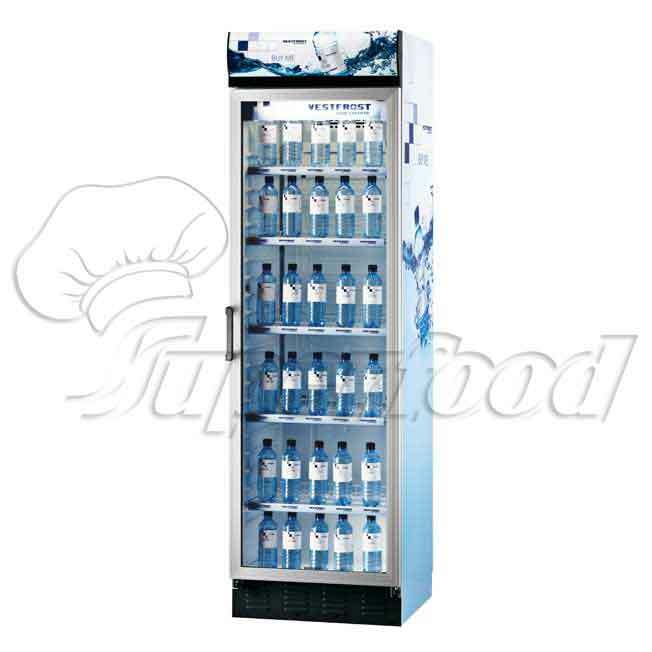 M 200 is perfect for displaying food and beverages in shops, sandwich bars and service stations. M 200 is the largest cooler in the new Vestfrost series. Capacity has been increased, allowing improved exposure of the contents. The shelves are fully adjustable by 6 mm and can be adapted to suit all types of cans and bottles. The specially designed metal plate shelves also ensure that products stand stably without toppling. All in all, the cooler sets new standards – also when it comes to design, materials, environment friendliness and noise level. Cooling solutions for the hotel, restaurant and catering sector. Height: 200 cm. 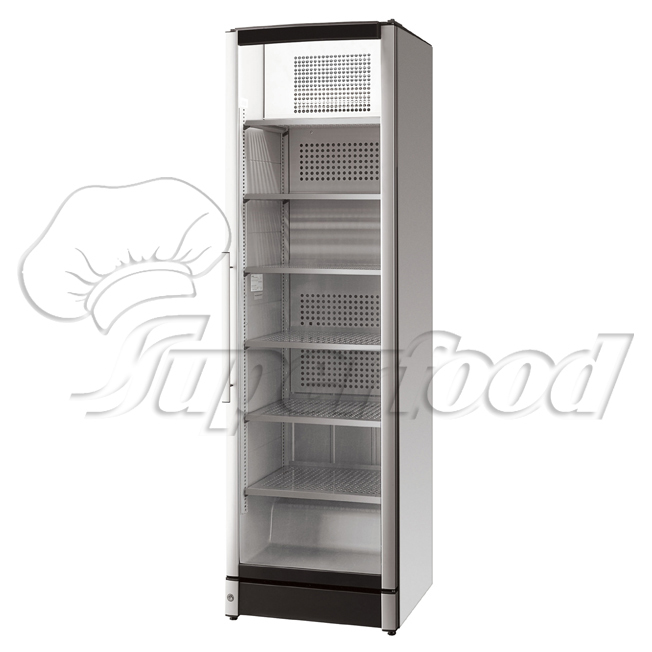 FKG 410 is the largest and most popular cooler in the FKG series. 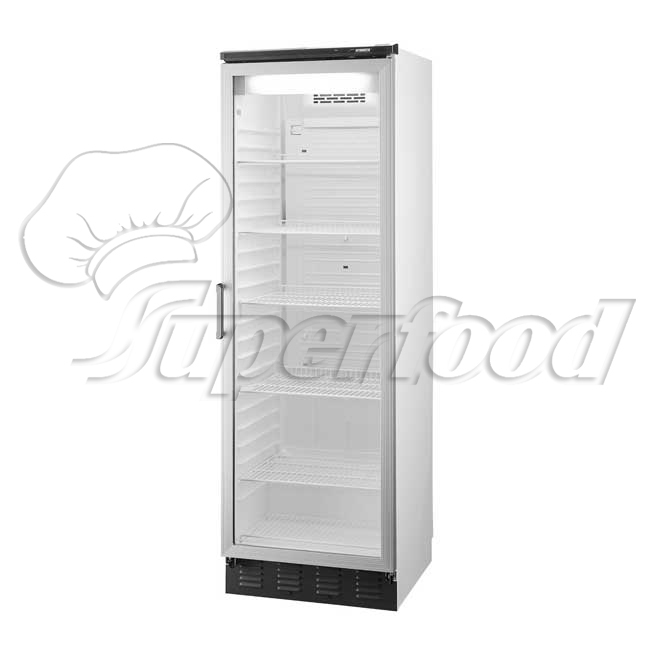 Reliability, low energy consumption, low service costs, ideal exposure and competitive prices make the FKG series the winner when it comes to optimum space utilisation and display of cold food and beverages. to each other. A heated door ensures the glass is kept free of condensation.